1120 Wheelertown Rd. Russia, NY. | MLS# 1801832 | Benn Realty LLC -Since 1968, and now with offices in Old Forge and Remsen to serve you better. 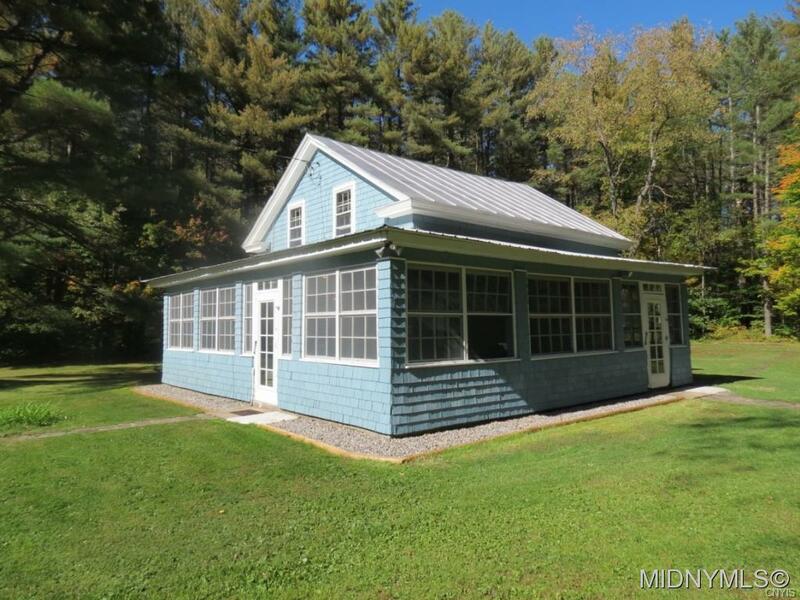 Deer Lodge is a 2 BR, 1 Bath lodge on 8 acres. This tranquil home can be enjoyed year round, with a stone and wood gazebo for entertaining, outbuildings for storage and trails throughout it's fully wooded surroundings. Updates include new electric service, insulation and septic. Close to Hinckley and Kayuta Lakes for all your recreational needs!